After reorganizing our kitchen cabinets to make more room for our new addition's items, I decided I needed a new place to store our medication. So ensued the search for a container. Yes, I am first and foremost a supporter of anything Clever Container since I am a consultant. But, as usual, I already had in mind the image of what I wanted and Clever Container offers wonderful solutions, but not anything to fit this bill. What did I want? Something VINTAGE- a tin of some sort. I am a lover of all things old. If they have that certain smell to them--- you fellow lovers of everything vintage know exactly what I am talking about-- then I usually like them. My husband, not so much. His take on VINTAGE is that it's just old!! Ha!! For me vintage and that smell reminds me of my grandmothers- both of them. I enjoyed my childhood because I was lucky enough to grow up with both of my grandmothers around. I remember trips to the grocery store and sitting in the back of "Mamaws" car and spending time at her house for sleepovers. I remember the armoire she had in her bedroom which is why my son now has one in his nursery. I remember the claw footed tub in my other grandmother's home as well, but I haven't gotten one YET. So, for me a great day would be strolling the isles of a thrift store looking for unique items that I can use in my home that would mix well with the more modern tastes of my husband. This is what I had in mind. I am not sure where I had seen them before, but I had this image in my head. 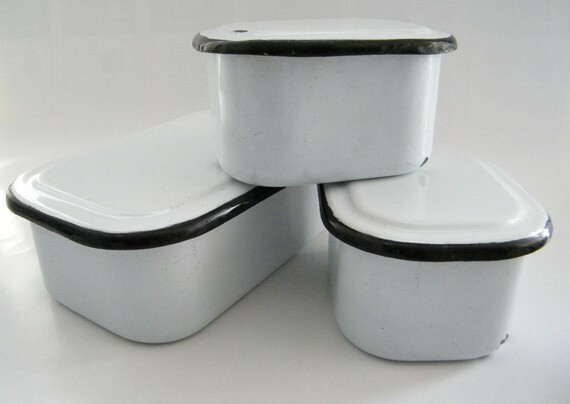 I did some research and discovered that this was called Enamelware because companies began coating metal pots and pans with enamel to prevent rusting (19th century). The problem with these pots and pans was that they could chip and rust, but they were easy to clean. They were also lightweight. White was a standard color and the edges were often red or blue. Because enamelware was prone to chipping, it was replaced with the speckled Graniteware which was patented in 1848 by New York inventor Charles Stumer. You can read the complete article here on Collector's Weekly. Well, I did the strolling this week. I went to a local store that has booths set up for different vendors and they are full of everything from old farm equipment to upscaled furniture. I looked high and low and sipped on my coffee pushing my son's stroller as he slept. I found a couple of the vintage Enamelware pots that were the standard white with the navy blue rim. They had lids but they weren't that deep and they were pricey so I passed (we are after all on a strict budget). I left a little disappointed, but I was determined to find something. Granted, we really don't have a lot of medications at all. We do take a lot of vitamins which I keep in the kitchen still, but we don't have a lot of medication. Instead, we take herbal supplements, drink medicinal teas, try alternative natural methods. We eat pretty well and we really don't get sick that often. 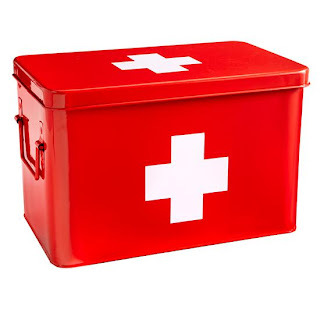 The medications we do have include allergy and cold remedies and one bottle of Tylenol. So, it all fits nicely in a smaller container. The original container being a shoe box sized Tupperware with a lid. So, the search ensued again. I had also seen something I liked on a Pinterest search through one of my favorite bloggers, I Heart Organizing. She had a link to a similar tin at Oriental Trading Company. I also LOVE the idea of actually having a medicine tin that looks like it is a medicine tin with the Red Cross look to it. You can find these here at The Land of Nod. I like both of these and the one at The Land of Nod is tall so it would accommodate taller bottles, but at $40 it is a little pricey for something to be hidden away in a closet. I may still purchase this or something similar at a later date to house band-aids and Neosporin when little man gets older. That way it can sit on the counter in all of its glory. But, for now, drumroll please......I have found my solution. Anywho, the Piece de Resistance was found at IKEA none the less. I took photos since I couldn't find an image for this product anywhere on IKEA'S website??? I guess maybe it is a new product. Not sure, but here it is anyway. A set of 3 tins with lids for $18.99. They have a rounded look which fits right into the nice curves of the 1950s Art Deco look I love and they are tin. They are difficult to open which is good for medication storage (although it will be kept away from little man's reach). They are also in a great color- kind of a sage green. You can also get them in white or a greyish blue. I wish I would've thought to take pictures of all three colors. Oh well- excuse to go back to IKEA. So, the price was right and I couldn't resist. Here they are- the SNIKA storage set from IKEA. I added measurements, but it is a little harder with the rounded edges. The two smaller tins are being used in two different places around the house. For now, one tin will house our little man's thermometer, gas drops and Infant Tylenol which we rarely if ever use. The second smaller tin will house my customer cards for my Clever Container business. Let's just say I was super excited after leaving IKEA today. I also purchased a few containers for my freezer and a couple of bibs for little man. One afternoon, as I was rearranging my tea cabinet once again (when am I not rearranging? ), I discovered a use for those baby formula cans that were very quickly piling up in my garage. After all, I had to save them. They are such great containers. And, I knew I would find a use for each and every one of them. I pulled one out, took the label off and began. I used this can to store tea bags so they would be easy for me to reach in the cabinet. And, as a bonus, my tea now lives in a pretty storage container. You could also cover the top of the can with scrapbook paper to match. I just left it the same because it is all white. The cans that come with other colored tops might need to be covered to coordinate. You can create this same pretty container and keep it on your desk for stationary, in an art station for markers, keep buttons or beads or any other of your crafting supplies in one. Let your imagination run wild. Tip of the day- Save everything you think you could use later for a project such as this one. Decorating our son's nursery began early on. We made the decision to adopt after many years and many doctors with attempts to conceive. Adoption became our option and we know it was the best decision we have ever made. There were a lot of blogs on adoption that I went to because I wanted to have a nursery ready, but didn't want to have a nursery ready and then face heartache. In the end, after reading countless other stories of adoption, I decided to go for it. I felt such peace about our decision to adopt that I knew decorating the nursery would only give our child that WAS coming a place to sleep and play. I know the nursery isn't the most important thing to have ready. After all, the baby needs food and a place to sleep. But, the planner in me wanted it done so I could enjoy our little bundle when he or she came home to his/her forever home. I did a ton of research looking for images on the Internet-- especially Pinterest. I saw a TON of images I loved. But, we didn't know if our baby was going to be a boy or girl so I decided to go with neutral colors and then change a few things after we found out. Our original idea was Dr. Seuss, but that was then changed. If we knew we were going to bring home a little boy, I loved the idea of rustic and vintage with wooden toys and red accents. If we were going to bring home a girl, it was going to be white lace and flowers, as girly as it could be. In the end, we decided on the theme of My NeighborhoodTotoro. This movie is a kids' movie from Japan. Granted, my husband is Chinese, but he grew up with a lot of movies from Japan. And, if you haven't ever watched a movie from the Studio Ghibli with director Hayao Miyazaki, you are missing out big time!! One of the newer ones released to the US was The Secret World of Arrietty. They are wonderfully imaginative movies with beautiful music and deep rooted meaning and lessons. Okay, so back to the nursery. Our little one arrived exactly 9 months after we decided to adopt and had begun our paperwork. It is unheard of, but as I said this was a decision meant to be. 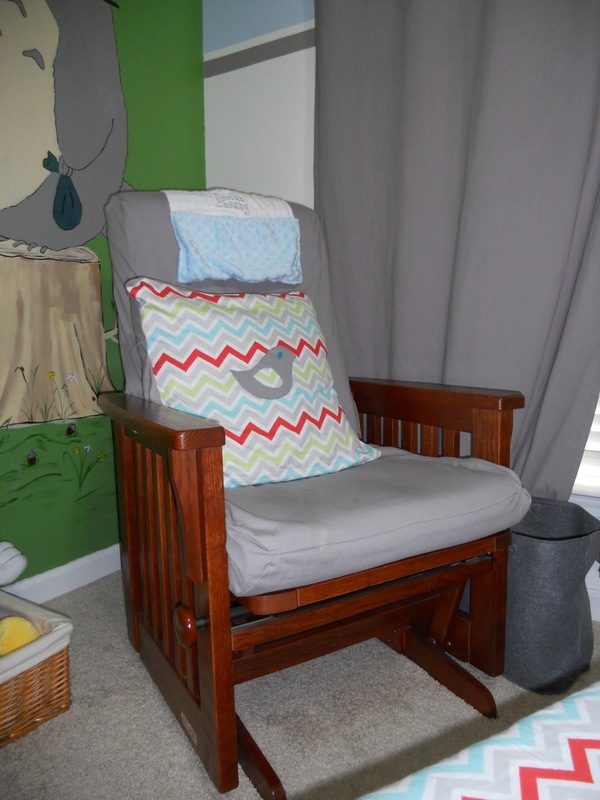 The first project for the nursery that I completed was the Glider/Ottoman cover. Friends gave us the chair and ottoman at no cost and it was in very good condition. In an effort to busy myself, I did something I hadn't ever done before- made a slip cover. I felt like giving up MANY times, but I wanted my child to be able to look at the nursery and see how much they were loved before they arrived and how much effort went into preparing a place for them. After a ton of searching for the PERFECT fabric, pinning, repinning, poking my fingers, breaking thread, long days, being tempted to give in, I finally finished!! I then covered the ottoman and made a pillow to coordinate. All of the fabric in the room came from fabric.com with a 20% coupon. 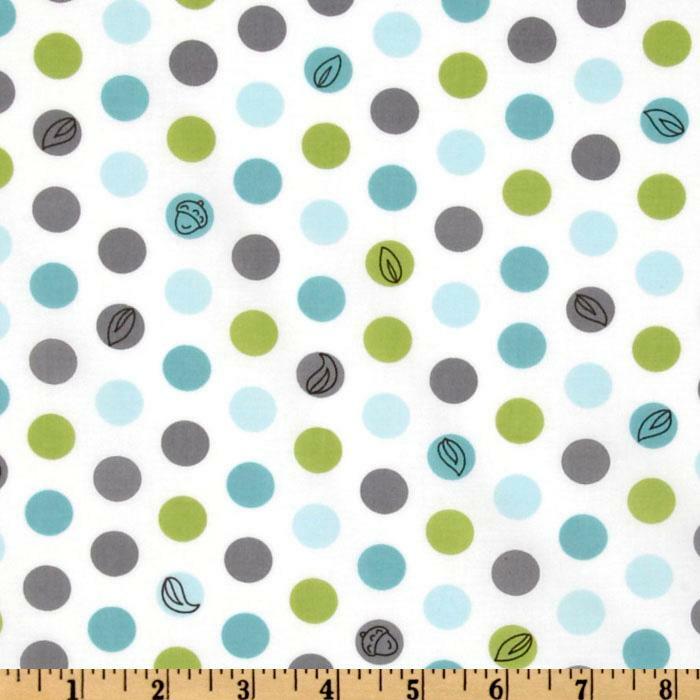 The Chevron is a Michael Miller fabric and is called Premier Prints Zoom Zoom Twill Harmony- I know right! What a name!! The pillow has a grey back and Chevron front with a grey bird that I created and attached. The eye is a blue button I sewed on. The ottoman is the same Chevron pattern with an edging of blue ribbon with white polka dots. The grey ribbon on the corners was taken from my old Ann Taylor Loft bags (Yeah- I used to shop there back in my working day. Sigh!!) But, thrifty idea none the less. Changing Table from a friend- complete with 2 covers. I saved some money here as well. The basket on top came from Hobby Lobby in a set of 3 for 50% off. I already had it- just repurposed it for diapers. The boxes on the bottom are actually gift boxes from Target. One came with a gift at a shower and the other two I purchased. A steal at $5 each- much cheaper than baskets. The folded items on the top shelf are sleeper sacks which our son LOVES to sleep in. My next project was to create the window panel (actually, the painting had already begun before this, but more on that later). This is a lined panel with the same grey fabric as was used on the glider with a top fabric added for accent. This is a Micheal Miller fabric as well- can you tell I LOVE his designs?? It is called Micheal Miller Backyard Baby Lotsa Dots White. I loved it since it added a new pattern and the little dots have random leaves and acorns printed inside of them!! My husband pointed out it was perfect since Totoro is a forest animal who carries a bag of acorns around with him in the movie!! The rest of the nursery was just putting icing on the cake so to speak. My husband painted the stripes on the wall in blue and grey. One wall was already a grass green color from this being a guest room so I painted the mural on that wall- saved a TON of paint and time- thanks for the idea MOM!! I found an armoire for $40 on Craiglist and it has wonderful DEEP drawers and reminds me of my grandma's house, PLUS it is from the 1920s. My favorite furniture style period- just look at those pulls!! 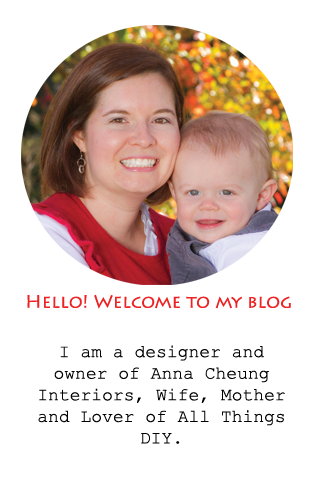 Ok- so I am wiping my drool off the keyboard so I can get to the end of this blog post. Did I mention that we have GREAT friends? The crib also came from a friend of a friend. Pictures on that later. Other items were picked up here and there and added at different times. I never got around to my State art I wanted to do or my chalkboard in a frame that I wanted to hang and add a verse of the day to for Declan every morning. I do have a frame I scored at Hobby Lobby for 70% off one day- it may find a new home soon. But, we do have state art that we received as a Baby gift- I will add a picture of it later. I sat the armoire in the garage with the drawers out in the sun everyday to get rid of the old smell. I lined the drawers with scrapbooking paper and maps and I wiped it down with Olive oil to shine it up a little. I need to take a really good picture of the pulls- they are fabulous. $1 each at Target- I use them inside the large basket on the changing table for creams, etc. (Chevron Trading Post & Bead Co.
Declan LOVES his star light! So, there it is in a "nutshell." Our little one has found his forever home and we have found our heart's purpose. We are so wonderfully blessed and God has kept His promise to us even after 8 long years of praying and waiting- not always trusting, but always coming with a broken heart waiting for it to be filled with the love of a child. I can say I am proud of the fact that I did take so much time to prepare his room- he will know how much he was longed for and how much preparation went into preparing a place just for him!!!! Look in the future for a blog post on his new playroom. It is in the works. We are converting our dining room which we never used into a special room for him and his toys, etc. ***I forgot to add that I have a simple white trash can (tall) next to the changing table for dirty clothes and I keep a large box in the corner next to the changing table for folding clothes as he outgrows them-- saves a ton of time later. Nursery Update: As our little man has grown so fast, he quickly outgrew the lovely armoire. So, after a search forever on Craigslist I finally found a dresser to replace this armoire so I would have more space for his clothes. I was very excited to have this dresser!! It is a Stanley dresser from the Young America Collection. I was looking for something with the Pottery Barn feel without the Pottery Barn price. If you check Craigslist for Pottery Barn, you will easily still pay $400+ for a piece of furniture. Stanley is a great company as well. This dresser in its new state was PRICEY ($1,049 on their website). It was also in a special made to order color: Bluet. What did I pay for it you ask? A whopping $150.00!!! A steal if I say so myself. It does have a few knicks where the owner said it received in the moving process, but it works for me. Below is a photo from the website. I will upload a new photo of our dresser later. This dresser has provided space for all of little man's clothing. From left to right: hats, extra wipes, socks, pants, onesies, pants and seasonal items, PJs. There are two drawers for pants because he is going to be tall and so I have two sizes out at all times!! I can't keep up. Ha! This is the article that will appear in the March/April 2013 issue of our neighborhood newsletter. 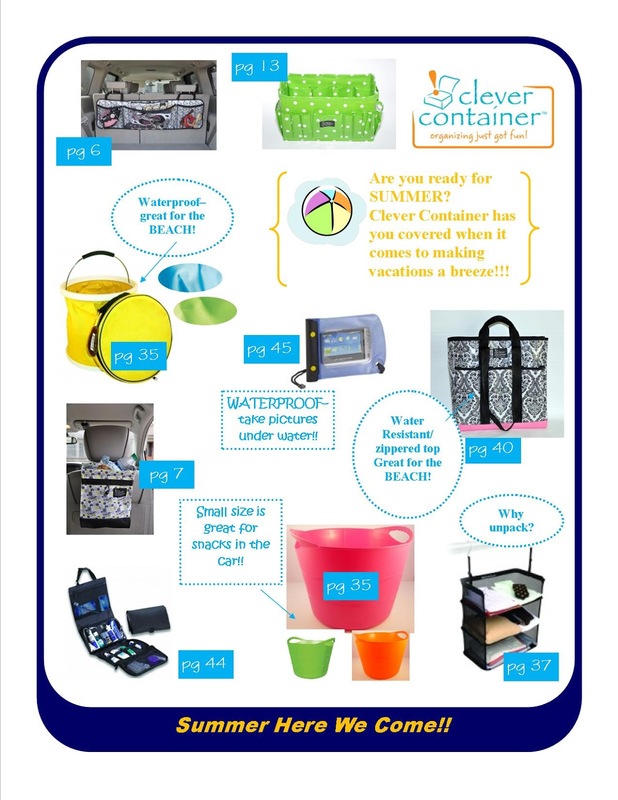 I do sell Clever Container items, but my true LOVE is getting into other people's homes and helping them get organized. If you have a need of a Professional Organizer for any area of your home, contact me today. If you share your home with children, you know that taming their clutter can be challenging. Many times, kids’ items inevitably end up in every area of the home and you find yourself overrun with toys. Having systems in place to corral kids’ items can help save time during your day (especially mornings) and help alleviate lost items. By teaching your children organizational habits when they are young, you are setting up habits that will help them as they get older. Before beginning the project of organizing your kids’ belongings, you need to have a specific place chosen for each activity your children are going to be involved in. These activities may include homework, play dates, art projects, dress up and general play. The types of activities your child is involved in will change by age or interest, but having systems in place is a start and they can easily evolve as your child grows. You will also need to PURGE broken items or items they do not play with anymore. This will give you less to have to keep organized. If you have ever gone to the store to purchase bins or baskets for any project in your home, you know how expensive it can be. But, organizing your kids’ toys does not have to cost an arm and a leg. One important thing to remember is to keep like items together in similar containers. For example, keep all of the games in similar containers. This will help children with putting items back in place. By taking the cards, puzzles and games out of their original boxes, you also save the hassle of finding a place for bulky, cardboard boxes that fall apart or tear over time. It is unnecessary to keep all of your kids’ toys out at one time. Store some in an attic or closet and rotate the toys. Kids will be more creative because they will have less to catch their attention at one time. The toys will also seem “new” to them when you rotate them again. By using items you already have, you can have an organized space for your kids in no time. COFFEE BINS: Use items such as large COFFEE BINS to store smaller items such as Legos, little men, cars, Mr. Potato Head and other small toys. To get rid of the coffee smell, wash the container and then place ¼ cup baking soda inside and allow it to sit overnight. Rewash and the smell should be gone. Large plastic bins from Costco (like the ones the animal crackers come in) are also great for smaller games and Legos or cars. BABY ITEMS: Baby items also come in great containers. Save the plastic WIPES CONTAINERS to store card games like UNO, Phase 10, Memory games and SkipBo. Make sure to label the containers if you take them out of their original boxes. Labels can be as simple as placing the front of the original box on the side of the new container. Smaller, flat wipes containers can hold crayons. DIAPER BOXES are also very sturdy and are a nice size. Cover them with fabric and add a rope handle to store stuffed animals or larger toys. CANS: When painted in bright colors, covered with fabric or ribbon, soup cans become decorative storage for art supplies. Place all of the cans on a Lazy Susan or a Cake Stand in the Art Station for easy access. This could also be used in the homework zone to hold pencils and other items. Storage pieces can always be repurposed with a little elbow grease. An old BOOKSHELF or TALL DRESSER can double as a dress up station. 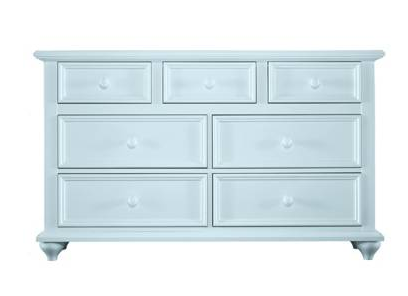 Paint if needed, add decorative hooks or knobs down the sides and add a clothes hanging bar across the top. Hang hats, boas, and play jewelry or swords on the hooks. Hang those pirate or princess outfits on the bar and keep one shelf at the bottom to put shoes and purses or other items your child uses when playing dress up. For girls, this shelf could hold her tea set. A tall shelf would not work for this purpose. It needs to be child height. Use the DRAWERS as rolling storage for under the bed by adding casters. An outdated NIGHTSTAND or END TABLE can be repurposed to create a play kitchen. With a little paint and creativity, these end tables can be transformed into a stove or sink. Remove the drawers to create the oven shelves and hang a pretty fabric or apron on front to create the sink front. The top can be painted to look like a stove top and knobs can be added. PUZZLE pieces with handles for toddlers can be used as hooks when attached to a piece of wood. These need to be the long wooden handles. Square WOODEN blocks or SPOOLS from thread can also be used for this purpose. 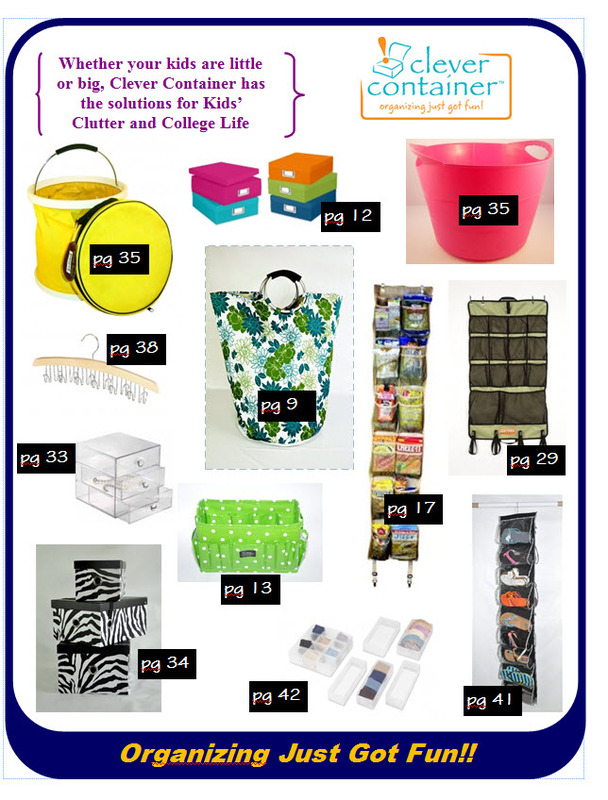 You can also create storage by using items that are not marketed as storage for kids’ toys. When you are shopping for other items at the local grocery, retail or hardware store, look in other departments for toy storage. You can add a cushioned seat to a PLASTIC CRATE to use as a seat and storage. Your local hardware store sells large gallon sized PAINT BUCKETS for smaller toy collections or even Barbies (adding a TOOL ORGANIZER to this bucket can also create an art center). OVER THE DOOR SHOE HOLDERS are also great for Barbie Dolls or other small toys. The cleaning isle of your retail or grocery store will sell a DISH DRYING RACK that can be used to hold books. The important thing to remember when looking in other areas for storage items is to make sure the items are safe for kids and are unbreakable. Kids can be rough on their items. After the toys and other items are organized and in their specified homes, it is important to involve your children in keeping these spaces organized. If children know the system, they will more than likely begin to clean up after themselves which will in turn help you. We are the biggest role models for our children and they will learn from our ways. Children also thrive on schedules and routines. This article has only offered a few suggestions for kids’ storage. With a little imagination, you can come up with many ways to save on organizing your kids’ things. Remember to rethink items next time you take out the recycling or have a garage sale.